Get creative with paper and folding! 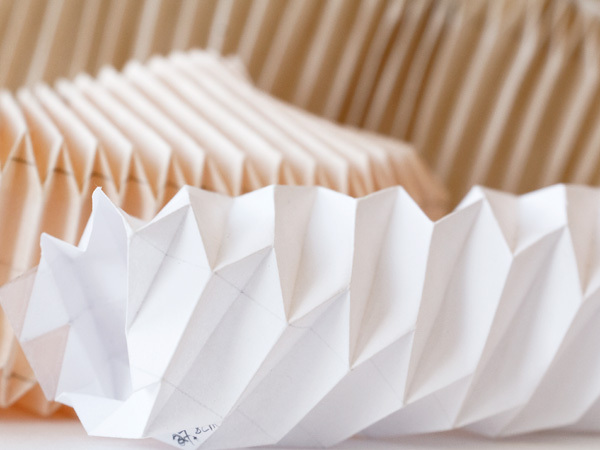 square sheet of paper and creates beautiful shapes without the use of glue or scissors. Contemporary origami can now include use of glue, scissors and even rectangular sheets! This class will cover two origami tessellation forms. They are based off simple folds but with repetition, turns into a beautiful and complex shape. Both these folding styles will have transforming qualities in which they can change from one form to another. As an emerging fibre artist and textile designer who dabbles in electronics, Angel Ho strives to innovatively fuse materials and techniques together. Finding material’s role in everyday objects and transforming them into a new product or piece, Ho reaches for further exploration of application. Ho believes designing is a mixture of curiosity, interaction and perseverance.